To connect building occupants with the outdoors, reinforce circadian rhythms, and reduce the use of electrical lighting by introducing daylight into the space. Provide manual or automatic (with manual override) glare-control devices for all regularly occupied spaces. Select one of the following three options. Demonstrate through annual computer simulations that spatial daylight autonomy300/50% (sDA300/50%) of at least 55%, 75%, or 90% is achieved. Use regularly occupied floor area. Healthcare projects should use the perimeter area determined under EQ Credit Quality Views. Points are awarded according to Table 1. Demonstrate through annual computer simulations that annual sunlight exposure1000,250 (ASE1000,250) of no more than 10% is achieved. Use the regularly occupied floor area that is daylit per the sDA300/50% simulations. The sDA and ASE calculation grids should be no more than 2 feet (600 millimeters) square and laid out across the regularly occupied area at a work plane height of 30 inches (760 millimeters) above finished floor (unless otherwise defined). Use an hourly time-step analysis based on typical meteorological year data, or an equivalent, for the nearest available weather station. Include any permanent interior obstructions. Movable furniture and partitions may be excluded. Demonstrate through computer modeling that illuminance levels will be between 300 lux and 3,000 lux for 9 a.m. and 3 p.m., both on a clear-sky day at the equinox, for the floor area indicated in Table 2. Use regularly occupied floor area. Healthcare projects should use the perimeter area determined under EQ Credit Quality Views. Use typical meteorological year data, or an equivalent, for the nearest available weather station. Select one day within 15 days of September 21 and one day within 15 days of March 21 that represent the clearest sky condition. Use the average of the hourly value for the two selected days. Exclude blinds or shades from the model. Include any permanent interior obstructions. Movable furniture and partitions may be excluded. Achieve illuminance levels between 300 lux and 3,000 lux for the floor area indicated in Table 3. Measure at appropriate work plane height during any hour between 9 a.m. and 3 p.m.
Take one measurement in any regularly occupied month, and take a second as indicated in Table 4. For spaces larger than 150 square feet (14 square meters), take measurements on a maximum 10 foot (3 meter) square grid. For spaces 150 square feet (14 square meters) or smaller, take measurements on a maximum 3 foot (900 millimeters) square grid. Do I actually need to submit the USGBC Daylight and Quality Views calculator? Can electrochromic glazing qualify as a glare control device? Can I use Revit to document this credit? Is it possible to combine Options 1 and 2 for different spaces in the same building? What spaces are considered regularly occupied and must be included in the calculations? If I’m pursuing Option 2 or 3, can I average the compliant square footage between 9 a.m. and 3 p.m. for a space and use the average as the compliant square footage? 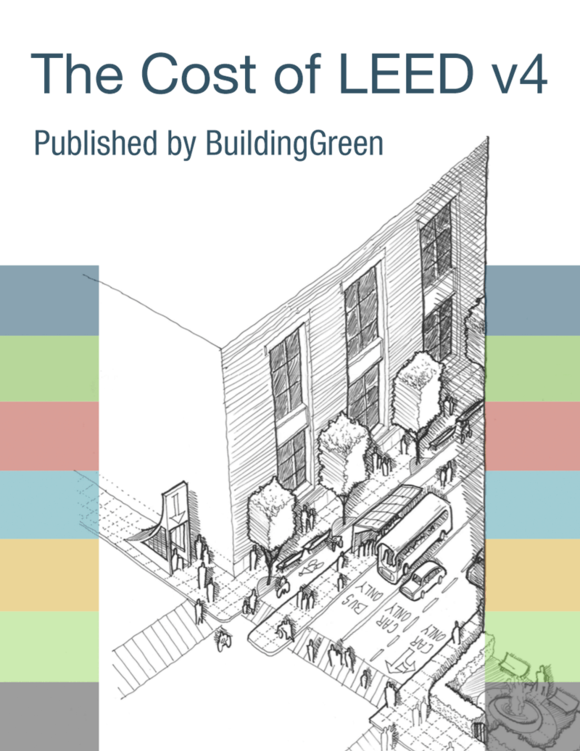 What daylight simulation software can I use for LEED compliance? Can I mix and match daylight analysis methods? What if one room meets the illuminance thresholds but not the ASE limit? My office space will have cubicles with high partitions. Should I include those in my model? What types of glare control are acceptable for this credit?